In this article we will refer to Xero Practice Manager or XPM. However, if you are using WorkflowMax, this is just another name for the same product, and everything will still work as described in this article. When creating a proposal, you will add jobs, and then add one or more services to each job. You can choose to have just one job, or you can break it down into multiple jobs to break them up into sections or stages for clearer presentation. 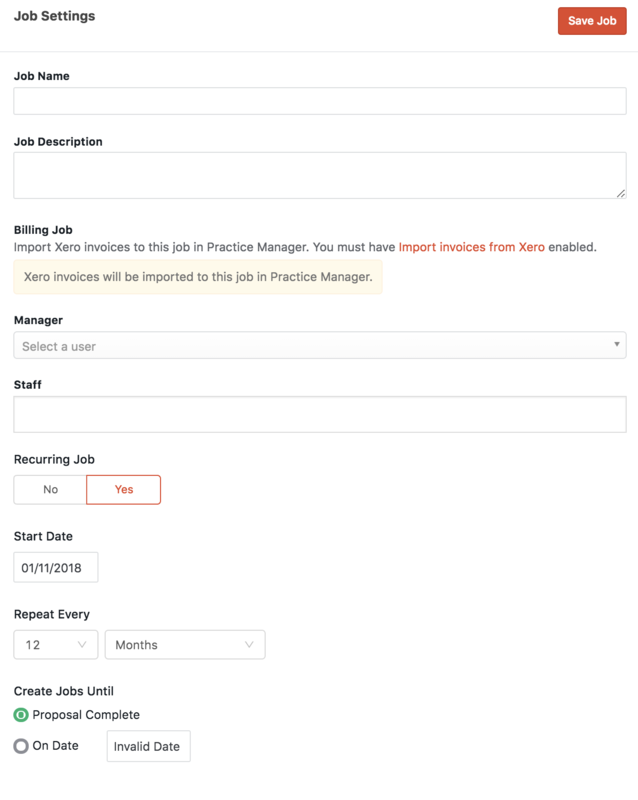 If you have Xero Practice Manager connected, each job in the proposal will be set up as a job in XPM when the proposal is accepted. How do I set up jobs within my proposals? When you create a new proposal or edit a proposal, jobs are set up in the Services tab. Your proposal must contain at least one job. To add additional jobs, click the Add Job button. Clicking Job Settings will give you access to all the settings for the job. You can set a name and description here which will be sent through to XPM. You can also assign a manager and any number of staff to the job. These assignments will be pushed through to XPM when the proposal is accepted. Finally, you can set a start date and due date for the job. These dates are independent of the proposal start and end dates and will be used to set the start date and due date fields in XPM. 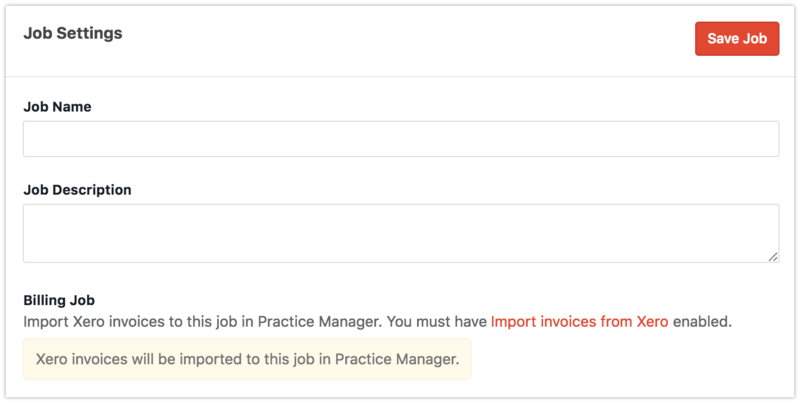 When Practice Ignition creates Xero invoices for your proposal, those invoices will be imported to an XPM job. Use Billing Job to choose which job the invoices should be imported to. To configure XPM to import Xero invoices, please see this Xero help article. Can Practice Ignition create recurring jobs in XPM? Yes - to do this just switch Recurring Job to "Yes" and choose a start date, recurring period, and when the recurring jobs should stop. The length of the jobs will be determined by how often it will recur. For example, If you choose to have the jobs recur every 2 months, the job will have a length of 2 months. What happens after the proposal is accepted? When the proposal is accepted by the client, any backdated jobs and jobs starting on the first day of the proposal will be created in XPM straight away. If you have set up recurring jobs, then on the last day of a recurring job period, Practice Ignition will create a new job for the next recurring period. Can I use continuous recurring billing and jobs together? Yes, you can enable your jobs to recur as long as your contract is active when continuous recurring billing is used. Be sure to select 'Yes' to Recurring Job, select a recurring term, and select to Recurring Jobs until Proposal Complete. What if I want to turn off a recurring job? If you have set-up a recurring job on an accepted proposal and at a later date you want to stop that job recurring, you can go to the Jobs tab in a proposal and disable the Send Jobs to Xero Practice Manager toggle. Note: For more information on creating a proposal, see our article on Creating a proposal.